Swing Beam Height: 7ft 5"
The Carnival Clubhouses are a great value and perfect for smaller yards. Available with rainbow or green tarp, slide, and rocks. Choose between 2 position, 3 position or 4 position swing beam. 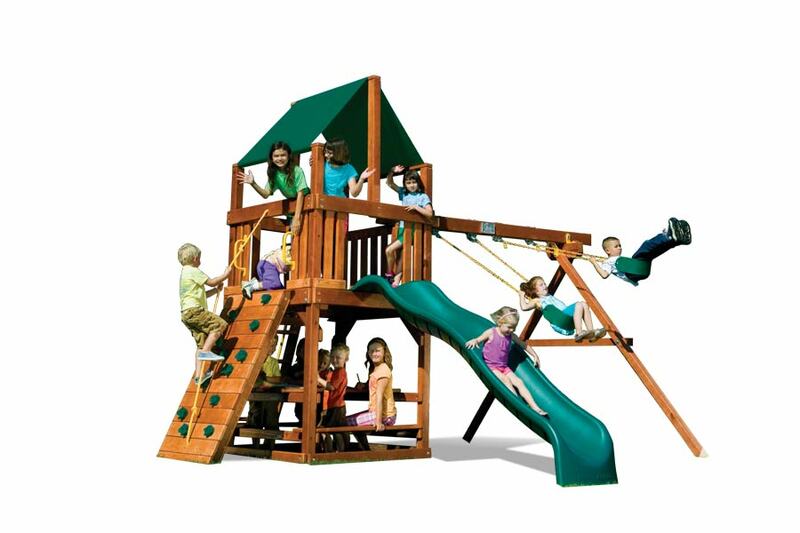 Visit www.rainbowplay.com for more details or stop by our showroom. Rainbow Carnival Clubhouse shown with green accessories and the 2-position swing beam.